This is my first game in stencyl and first game having a art and code role. I'm currently sorting out some sponsorship stuff so can't link the game but will update it when it is sorted. 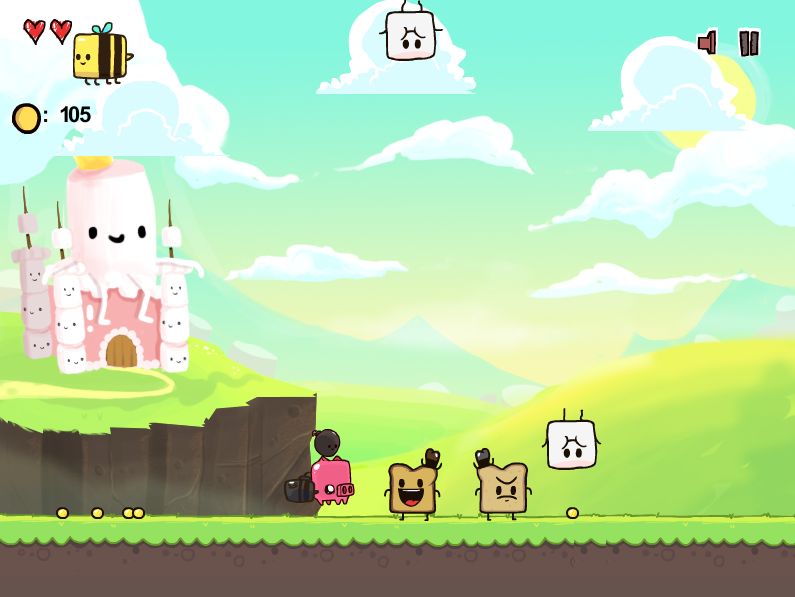 Game is also being ported to mobile, Here are some pics! 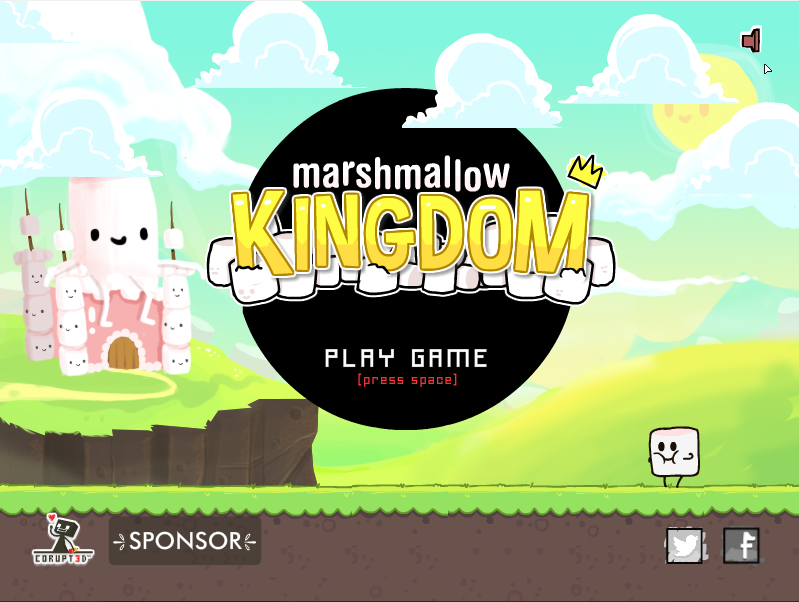 Super Marshmallow Kingdom is a toasts battle against the evil forces of marshmallows, cats, tarts, pigs and more! 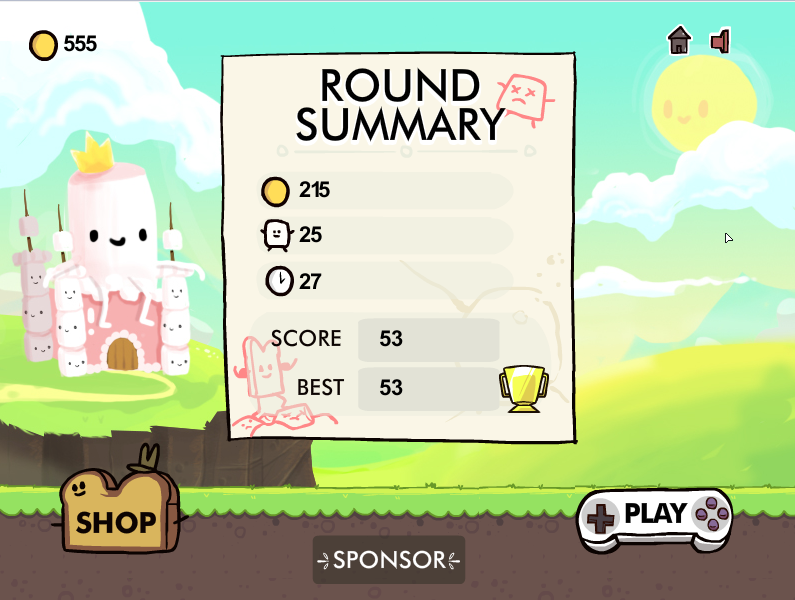 Sent from king marshmallow who is upset after you ate his muffin. 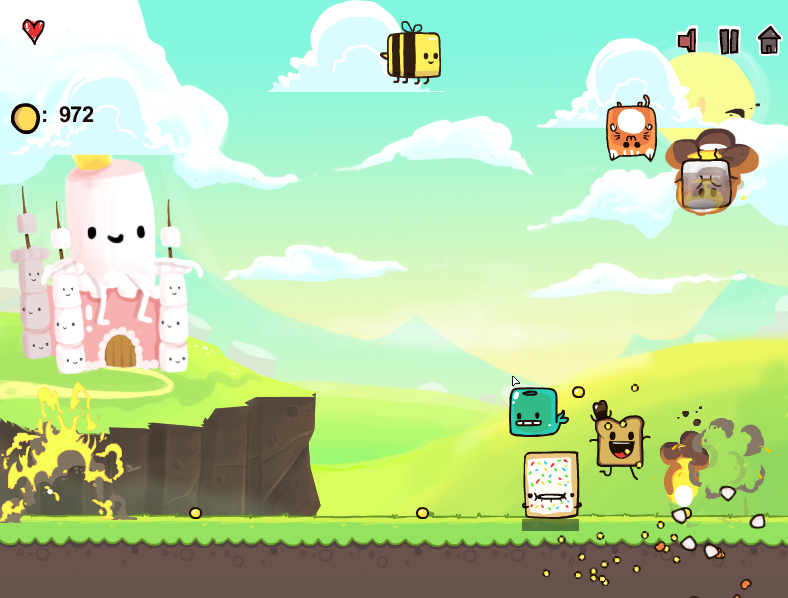 With explosions galore dodge your way through 10 action packed levels while upgrading your crumby abilities. Battle by yourself or with a friend in 2 player mode so you can brag how good you are. I like Your style and upgrades in the game! Thanks Guys (: Should be uploading tomorrow hopefully. Okay it's up! For some reason it's not in the collection yet hopefully is added today? Very cool game I have much love for it. Oh it was very easy actually the game is made in stency 2 so just adjusted FlxG.timeScale and used a "When In Range Of Actor" behaviour. Which I adjusted a bit. Out of curiosity, how long have you been doing art? Did you study graphic design? It looks really good! Art is something I'd like to study when I hit college next year. Wow 19 huh? I've been doing art for some ~2-3 years. I'm 17, 18 this July glad to see someone near enough to my age making games like yours. Truly inspiring. I was a bit disappointed to see some of my favorite games didn't place one of them being yours but I find that a lot of winners tend to be pixel art games :/ regardless, the winning games are good so good luck with the mobile port! Great Job!! 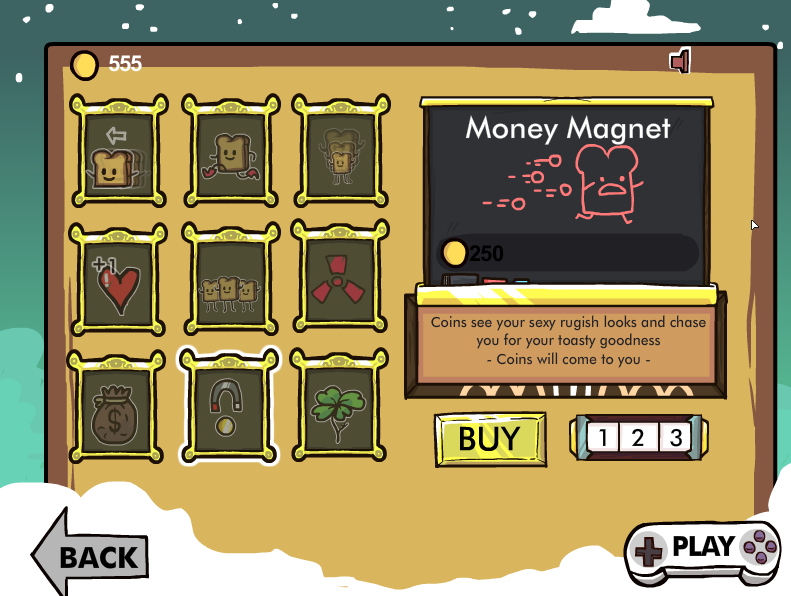 Fun gameplay,lovely art! Good News, The mobile version is now out!